Despite being the most premium expression in the Courvoisier portfolio, L’Essence de Courvoisier was the only one not to be included in a recent packaging restage. 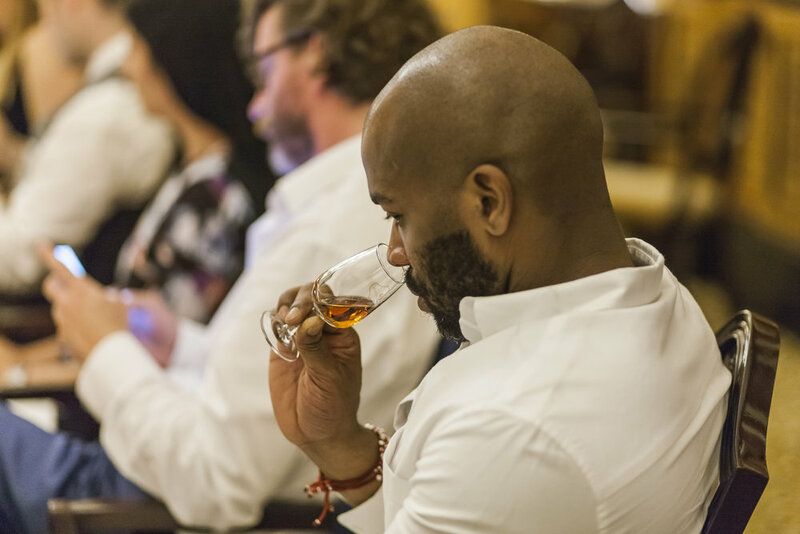 Instead the strategy was to give L’Essence de Courvoisier a prestige edge through a reinvigorated communications platform in order to allow it to compete in the super-premium market. To develop a new positioning and communications strategy that relaunched L’Essence de Courvoisier as the halo expression of a restaged portfolio without changing its packaging. To support the existing exemplary liquid and packaging, we found an authentic story that we knew a super-premium audience would identify with. We brought the story to life in a dramatic and elegant way to connect with the target audience’s need for prestige. Delving in the brand archives, we discovered the story of Napoleon’s gift of rings to his five most trusted generals – a story which indeed influenced the Courvoisier bottle design long ago, but had been lost in subsequent brand communications. We made a connection between the Five Rings and the craft of the five Master Blenders who have been fortunate enough to handle the extremely special and rare cognac reserves that date back to the early 1900s. We developed the communications platform ‘Honouring shared achievement’ which resonates with the stories of the product, the liquid and the consumer. It was the stimulus for a creative process which resulted in the key visual, exquisite animated films and prestigious modular retail displays. The UK market was so excited by the newly developed proposition they tasked us to further develop it into a VIP dinner tasting experience. This exquisite private dinner was first used to relaunch L’Essence at the Lanesborough Hotel, London, generating significant press coverage.